Kiryas Joel, NY - With all the challenges the kosher meat and poultry market has encountered in the last several years, the emergence of Kiryas Joel Poultry (KJ) couldn’t have come at a better time. 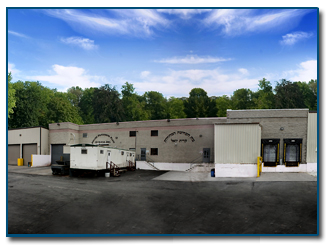 With their state-of-the-art processing plant in Monroe, NY, KJ Poultry has brought the quality of kosher poultry to a new level while concomitantly projecting unprecedented high standard of kashrus. KJ Poultry’s concern for quality and health is evidenced by its raising antibiotic-free chickens. KJ Poultry is unique in that it is Kehila (Kiryas Joel Community) owned, with a portion of proceeds going to Torah education. KJ Poultry has a policy of pursuing every hiddur and stringency when it comes to the observance of Jewish Law. One of the many ways KJ Poultry displays their strict adherence to Torah law is by having many of its community members employed at the plant who are involved in every step of the process. “We leave no stone unturned when it comes to the standards of kashrus as well as quality,” explains KJ Poultry’s General Manager, Joel Weiss. It’s Sunday at Kiryas Joel Poultry and the plant looks every bit as it does on a Monday. It is abuzz with a full compliment of staff with a high ratio of community people, including mashgichim, shochtim, and rabbis to ordinary line workers. The Sunday slaughter of chickens, according to Weiss, assures that shelves in kosher groceries will be restocked as early as Sunday afternoon. Kosher consumers have long complained of empty shelves on Sundays and even Monday mornings as stores traditionally sell out many items for the Shabbos. According to several grocers, despite the supply of several poultry brands, the Sunday slaughter is extremely important in stocking fresh poultry products early in the week. They say that items like poultry, beef and even milk are frequently in short supply come Sunday. One Boro Park store said that the delivery of KJ “chicken cutlets” and other poultry products on Sunday is extremely important. Kosher customers now have a choice of nearly 12 brands of the kosher fowl, most of which are under the Orthodox Union. KJ is also certified by Rabbi Getzel Berkowitz, the highly respected dayan (rabbinical judge) of Kiryas Joel.